Little Red Riding Hood Returns to El Rey Network! 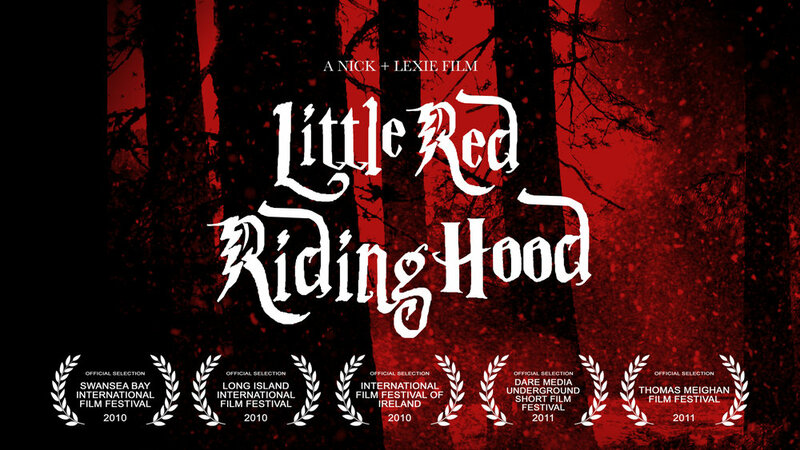 Our short film, Little Red Riding Hood will be playing this weekend on Robert Rodriguez’s El Rey Network again! It’s part of an amazing collection of short films hosted by Jorge R. Gutiérrez (director of the Book of Life). It’ll also feature exclusive interviews with filmmakers and behind the scenes! Little Red Riding Hood was shot in the Sierra Nevada region of California and tells the story in black and white photographs. The film has previously screened in Film Festivals around the world! Tons of Releases this November! We have a ton of really amazing releases happening in November! First, we kick it off with our BIGGEST release, The West and the Ruthless! The West and the Ruthless comes out November 7. You can already Pre-Order the film from retailers such as iTunes, Amazon, Barnes & Noble, Turner Classic Movies, Walmart and many others! Next up is a brand new TV Show, The Volunteers! We are so excited for the world to see this brand new series produced by the amazing guys and gals over at Ricky Schroder Productions. The first episode airs November 11 and the second episode airs November 12 on Audience Network. Also on November 11, our short film, Jack the Ripper, will be airing on El Rey Network with Special Host, and legendary director, John Carpenter! Then on November 24, The El Rey Network will be re-releasing our short films, Little Red Riding Hood and The Umbrella Factory with brand new interviews shot at the El Rey Studios as well as brand new behind the scenes! Just in case you missed the Sunday Sept. 24th Episode where we chatted about filmmaking over on Robert Rodriguez’s El Rey Network, (hosted by Jorge Gutierrez, director of The Book of Life and the upcoming Lego Movie Spinoff) have no fear! There will be a digital recap heading online this November with Behind the Scenes and Digital Exclusives! On November 24th, El Rey Network will be releasing The Umbrella Factory and Little Red Riding Hood with an exclusive interview filmed at the El Rey Studios! AND El Rey has also extended the distribution of our short film, Jack the Ripper, another year! New Article! "Modesto-born filmmaker scores again with TV network"
Here’s a wonderful article just released this weekend by Deke Farrow! For a second year, short films created by a Modesto native and her husband will be aired on filmmaker Robert Rodriguez's ("Sin City," "From Dusk Till Dawn") El Rey Network. The “Animation Edition” of the program "The People's Network Showcase" features 15 films that will be broadcast Sunday and also released digitally on El Rey Network’s YouTube page. The special showcases "stand-out rising independent filmmakers from around the world," according to the El Rey announcement.